How do the anniversary exhibitions of Russian (and not only) museums respond to the subject of the 1917 Revolution? There is a Russian epithet in use since the late Soviet era that needs no clarification for most artists, museum people and critics: the slightly contemptuous ‘datsky’, pronounced very distinctly and with the stress falling on the first syllable. It means ‘dedicated to a certain date’ the main of which is 7 November, the anniversary of the ‘Great October Socialist Revolution’. In December 2016, during one of the round tables at the St Petersburg Cultural Forum, Viktor Shalai from the Vladimir Arsenyev United State Museum of Primorsky Krai put into words something that occupies the thoughts of many people in the art and museum circles. ‘Next year,’ he said, ‘opens a sequence of historical milestone anniversaries that no proper museum worker will be able to disregard. Everybody will be mounting exhibitions to mark the anniversary of the revolution, which will be followed by the centenary of the Russian civil war and then a whole five years’ worth of anniversaries of assorted bloody events. In the Russia of today, any of these subjects can easily become ‘indictable’: considering that, after all these years, the public still has not worked out its position on these events, there will always be someone who is unhappy and prepared to be ‘offended’ by an exhibition.’ And in saying this, the young and energetic museum director from Vladivostok is right. The exhibitions in New York in London both opened around the anniversary of the February Revolution; in Russia, however, it is October that matters most. The forthcoming projects of the Tretyakov Gallery and the Russian Museum are only due to open in autumn; meanwhile, the museums are busy exporting works from their collections ‒ which is not a new thing for them: trading (in a purely symbolical sense, thank goodness, without resorting to actual selling) in post-revolutionary art with the rest of the world was first started by the then USSR in 1979, on the occasion of the ‘Paris‒Moscou’ exhibition at Centre Pompidou. 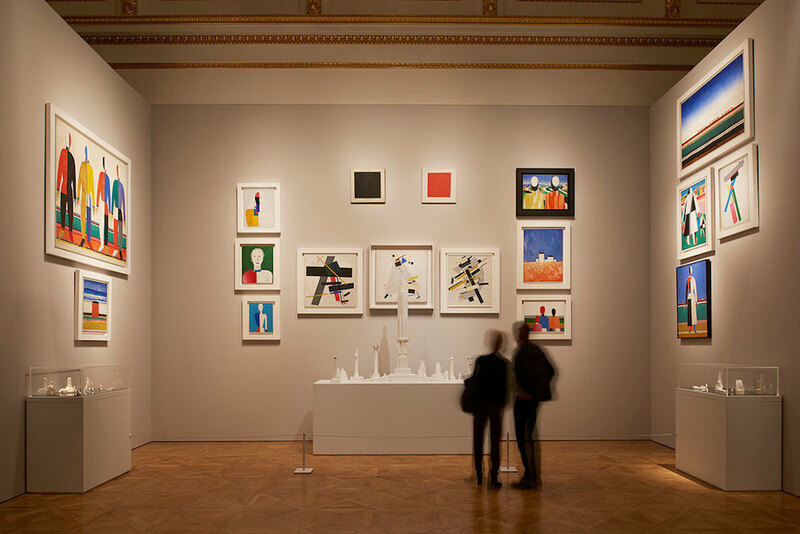 The present day sees the Russian Museum now despatching its Kandinsky to Málaga, now Malevich to Buenos Aires; later in the year, a selection of Russian avant-garde works are to travel to Bologna. Back home, an exhibition of revolutionary art will go on view under the motto of ‘Dreams of a Global Dawn’, open from August through November. 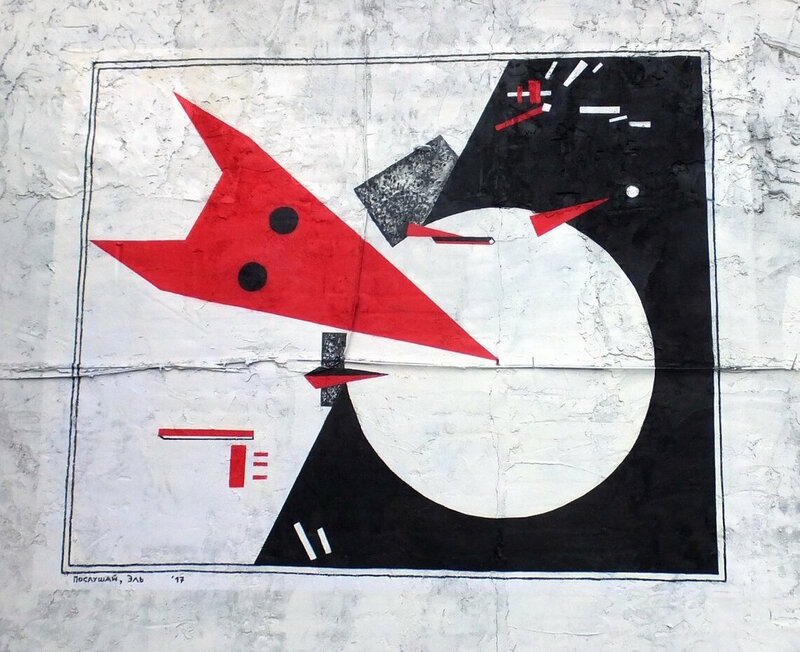 The Tretyakov Gallery will also present an exhibition entitled ‘Somebody Called 1917’; there are also plans to hold a huge El Lissitzky retrospective. 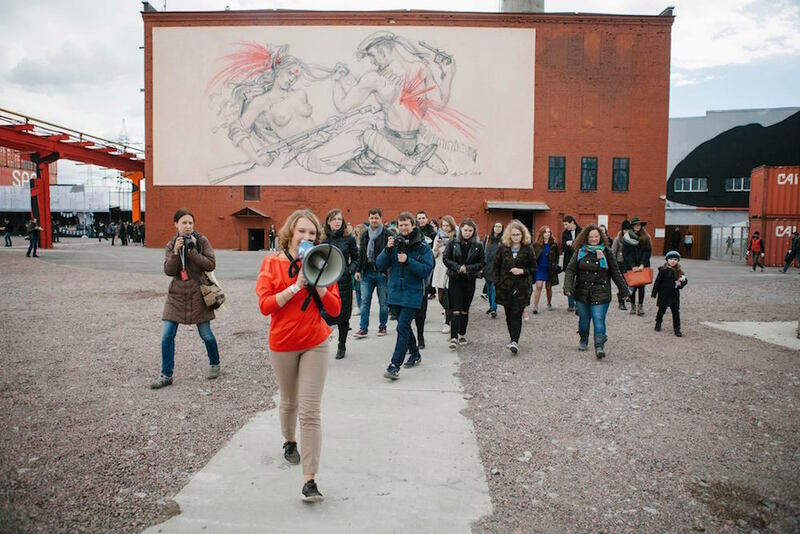 A string of themed exhibitions was launched in mid-May by the St Petersburg Street Art Museum with a project entitled ‘Brighter Days Are Coming’. At this museum, located on the premises of a former factory, the viewer always goes for the ‘brighter days’ option by default; what remains unclear is ‒ what is it that the title of the show contains more of: the avant-garde enthusiasm of the post-revolution years or the diehard Soviet habit of turning any protest action into a carnival. 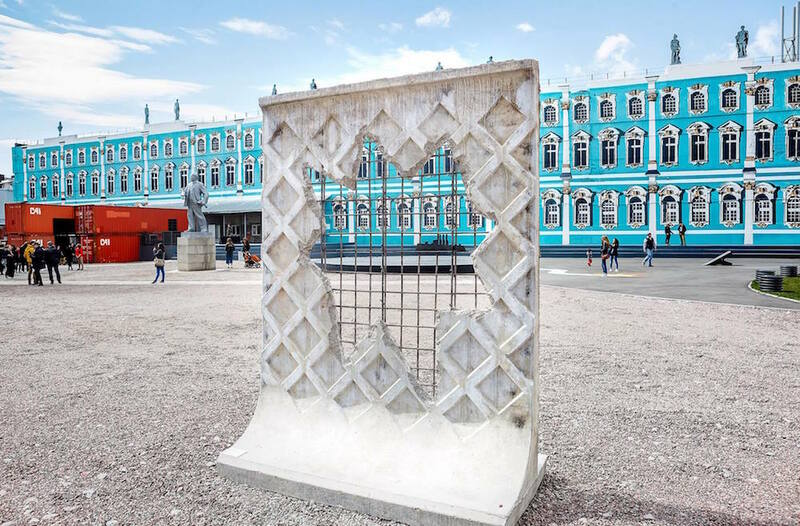 The graffiti installation covering the largest surface at the exhibition was created by a team of artists under the post-modernist name of Kuril Chto and depicts the façade of the Winter Palace. 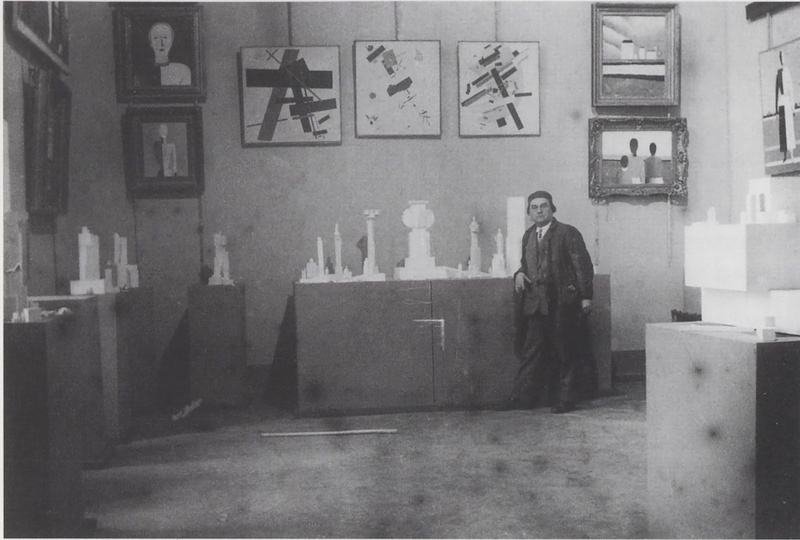 Director of the museum and co-curator of the exhibition, member of the Kuril Chto collective Andrei Zaitsev explained that he had long wanted to set up a personal Hermitage somewhere in the industrial suburbs of the city, and so the work was given a hashtag-like title: ‘Hermitage Is Ours’. There is no disputing that recent years have seen the Hermitage Museum assume a position on the front lines of contemporary art and free (albeit carefully dosed) thought in Russia; nevertheless, the mural is an obvious figurative failure: the pattern covering the flat wall looks monotonous and dull. But most importantly ‒ the experienced viewer will immediately recognise the imposing multi-layered discourse that apparently has escaped the enthusiastic young authors of this ambitious scenery. In terms of sheer absurdity, this Winter Palace covering the whole wall of the former finished product warehouse of the factory of laminated plastic is most of all reminiscent of another recent star attraction of Russian news reports ‒ the plywood Reichstag erected and then stormed on the outskirts of Moscow to mark the anniversary of the victory over Nazi Germany. As for the lexical construction employed in the title of the piece, in the aftermath of the Russian annexation of Crimea it has become indecent to use it even in jest. Meanwhile, the idea, so easily extracted from the surface of the work, could be juxtaposed with the actual practice of decorating the Palace Square (Dvortsovaya Ploshchad) during the post-revolution years. It is a well-known fact (and the creators of the graffiti should be aware of it) that the Winter Palace remained painted red throughout the first half of last century. To mark the 1st anniversary of the October Revolution, the Classicist architecture was hidden behind cubistic canvas panels that stripped it of its totalitarian connotations. Not so at the Street Art Museum, where all works in the revolutionary red have been deliberately removed as far as possible from the painted-on Winter Palace ‒ namely, a display of contemporary agitprop porcelain featuring pieces that are in no way inferior to the 1920s works, as well as an installation by Alena Kogan and a graffiti by the artist Poslushai, both containing references to El Lissitzky’s ‘Beat the Whites with the Red Wedge’. While the Street Art Museum is busy defending its prop Hermitage from any revolutionary attempts, the real Hermitage is not afraid to be stormed and even opens its Neva-facing windows through which a selection of works by Anselm Kiefer have been lifted into the museum building. Exactly 30 large-scale relief canvases from the ‘Für Chlebnikov’ series are currently on view at the grand Nicholas Hall of the Winter Palace. The first pieces of the cycle were created in 2004 and were shown in the US and Great Britain; the works Kiefer has brought to the Hermitage, however, are 100 % new. Curator Dmitri Ozerkov makes no attempt to hide the revolutionary references of the exhibition ‒ after all, Velimir Khlebnikov, a figure that the German artist finds so fascinating, foretold the date ‘1917’ with the help of his numerological calculations. 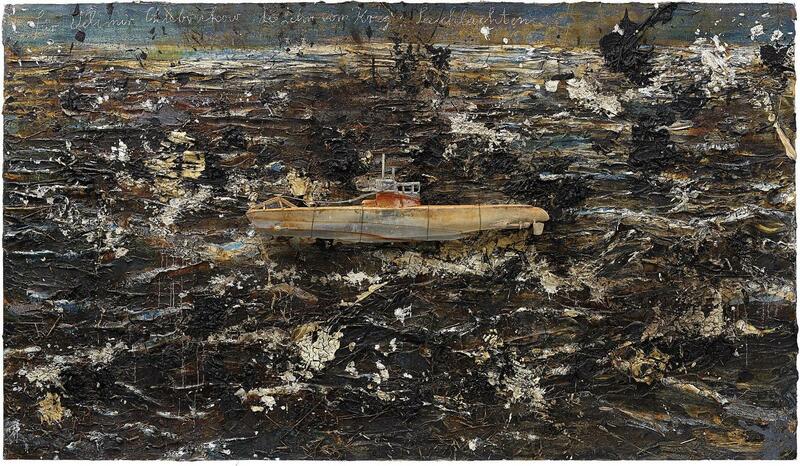 Ozerkov explains: ‘The whole exhibition by Anselm Kiefer is about metaphor; it does not feature a clear account of the events of the revolution. It is the motif of the cruiser Aurora on the Neva and the meetings of the Temporary Government next door, in the adjacent halls. It is an exhibition about ships.’ The rest of the Hermitage shows marking the centenary of the revolution are of a strictly archival character: ‘The Romanovs and the Revolution’ and ‘Photographs and Documents on the history of the Winter Palace in 1917’. Interestingly, when this year’s exhibition schedule was being drawn up, one of the draft versions written by the press office divided the events into ‘revolutionary’ and ‘normal’ ones, as if deliberately reinforcing the figurative meaning of the word ‘revolutionary’ ‒ which is exactly the role that Anselm Kiefer is taking on for the Hermitage. As far as museums are concerned, the revolution is presented as an event that belongs to distant past. Unfolding in front of our eyes, two types can be discerned in the approach to the subject of the revolution demonstrated by the museums of Russia; both are, essentially, extra-historical. However, while the local and privately-owned Street Art Museum does not care to know anything about history, the Russian and the rest of the big state-owned museums, apparently, do not care to know anything but history.